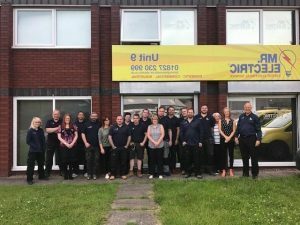 From Mr Electric emergency local electrician in Coleshill and surrounding areas – Taking it upon yourself to tackle electrical jobs can be tempting, but in can also be dangerous if you don’t have the appropriate experience. That’s why it’s essential you use a fully qualified NICEIC local electrician in Coleshill, who will ensure that any work is completed safely and professionally, whether it’s an emergency repair or fuse box upgrade. Mr. Electric offers a full domestic and commercial electrician service to customers in Coleshill providing support on everything from rewiring and lighting installation to routine testing and electric car charging. All services are quoted upfront with fixed prices, keeping you in control of the cost, and we can respond promptly to emergency call outs, which are free of charge. Our customers’ safety is our number one priority. That’s why we offer a free electrical safety inspection with every call out and will let you know if there is anything in your home or business that you should be aware of. If applicable, you will receive an electrical certificate, plus expert advice about the options available, so you can make an informed decision on the best course of action.